Knowledge is power. We’ve heard this idiom many times before, but in this tight job market it takes on new meaning. Being informed about a job and well-versed in a company’s expectations, needs and culture have never been more important when it comes to being a stand-out job applicant, says recruitment specialist, Glassdoor. On the eve of the new year, Glassdoor spoke with Cheryl Roubian, director of talent, Greenhouse Software who couldn’t agree more. Being an informed candidate and showing this knowledge throughout the application process — in your resume, cover letter (no, it’s not dead), through thoughtful interview questions and replies — are essential for beating the competition for in-demand jobs. Glassdoor: As a director of talent, how are you looking at candidates differently in 2019? Or are the ways you and your team evaluating candidates changing given the job landscape? Cheryl Roubian: The market is really tight and all signs indicate it will continue to be. But good hiring is the same in any market: define the attributes that will make someone successful for a particular role and then test for those attributes. Candidate experience is a big part of that as well. Candidates should expect to have a clear picture of what their role and responsibilities would be and what the company is like and should be prepared to demonstrate how they can add to the business and culture. Glassdoor: Many people say the cover letter is dead, especially in 2019. Is it still an important factor in the application? If not, what matters more? Cheryl Roubian: A well-written cover letter that is thoughtful, genuine, informative, and targeted at the company and role you’re applying for is still very relevant. It sets you apart from candidates who apply en masse to open roles and may be the deciding factor if the recruiter is on the fence about whether or not your skill set is relevant. Glassdoor: Landing a new job isn’t just about submitting a resume and interviewing, it’s about getting to know a company and really gauging alignment and fit. What are your tips for how job seekers can determine whether a company is right for them? Cheryl Roubian: Get really clear for yourself about the profile of role and company you’re looking for (e.g., inclusive culture, sustainable business, compelling purpose). What questions will you need to ask to test for those things? Ask those questions of every interviewer you meet in your process and then look for patterns. If everyone is generally saying the same thing (and you like what they’re saying) that’s probably a good sign. Good companies use this structured hiring process to interview you. Set yourself apart by using it on them. 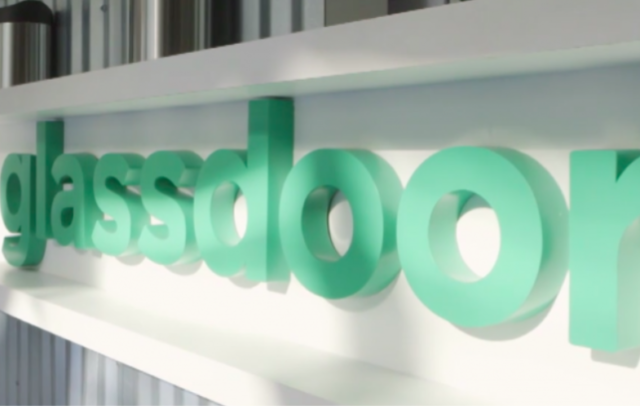 Glassdoor: How is landing a new job at a small- or medium-sized company like Greenhouse different from angling for a gig at a big company? Cheryl Roubian: At small or medium-sized companies like Greenhouse, it’s a lot easier to see the impact of your work on overall business success. Every deal makes a difference. Every customer matters. Your involvement in the organization and culture can visibly make a difference. Glassdoor: Once candidates evaluate company culture and are hopefully extended an offer, how should job seekers be approaching negotiations in 2019? Cheryl Roubian: Unless being a strong negotiator is part of your job description (i.e., you’re in sales), being able to negotiate a fair title or market salary shouldn’t be a requirement for a fair offer. Educate yourself about the company – what they’re able to offer will depend on a bunch of different factors – e.g., size, industry, funding. Look at the whole picture and don’t expect a 50-person startup to offer the same package as a company like Google. Good companies will have a philosophy or framework to help them make fair and equitable offers. It’s ok to ask how a company arrived at the offer they made you.